Terhune Orchards Read and Explore Program is our winter education series, following the popular seasonal Read and Pick Program. Our program is about Getting Ready for Spring. We will get ready to wake up from winter and prepare to start gardening. Saint Patrick’s Day is the traditional day to plant peas and spinach and get the garden ready! The program lasts about an hour and includes a story and educational segment. 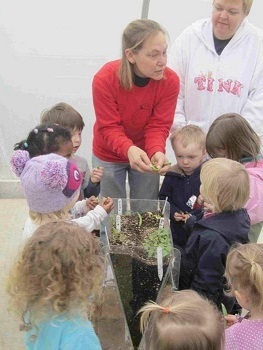 After story time, each child will plant seeds to take home.